Bandoneon is an accordion-like instrument that has buttons in place of the keyboard and is strongly associated with Argentinian tango. 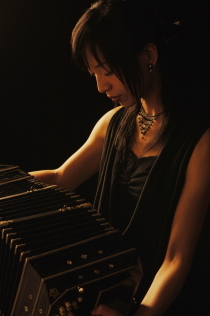 Fascinated by its sound, Ogawa Kimiyo started learning this instrument by herself. 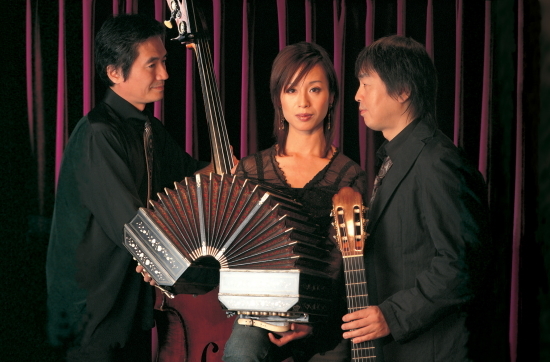 After intensive self-tuition and collaborations with Japanese tango musicians, she visited Buenos Aires in 2001 and studied under Julio Oscar Pane. Subsequently she played some local venues and the media loved her performances. In 2003 she participated in Cosquin Festival Nacional de Folklore, the biggest music festival in Argentina and again received a very favorable reception. After such a journey she has become internationally recognized as one of the best of the rare breed of female bandoneon players. 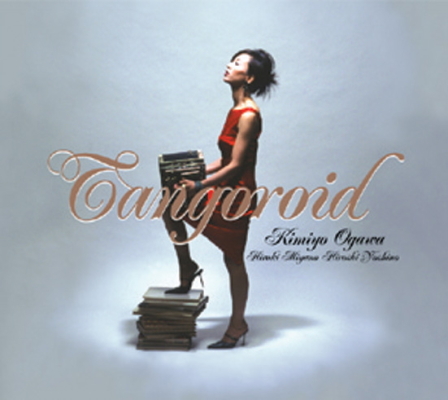 Her third album, Tangoroid, created with the support of guitarist Miyano Hiroki and bassist Yoshino Hiroshi sounds jaunty, passionate and occasionally melancholic. Trying out the many possibilities of the bandoneon, she has produced a fresh approach to tango music. The main composers are Ogawa herself and Miyano but the album includes covers of Astor Piazzolla and Ariel Ramirez.